… for those who love to talk math. ← Happy Birthday, Leonhard Euler! Happy Birthday, Carl Friedrich Gauss! Happy Birthday to Carl Friedrich Gauss! Born on April 30, 1777 in Brunswick, Germany, Gauss is considered by most to be the greatest mathematician of all time. Like many great mathematicians, Gauss showed his incredible mental abilities at a young age. Before the age of three, Gauss taught himself to read by simply asking his parents for the pronunciations of the letters. By the age of three, Gauss had a mastery of arithmetic as is often retold in the story of him finding a mistake in the arithmetic of his father’s payroll calculations. During his teen years, Gauss was improving upon the proofs of Newton, Euler and Lagrange, determined to make the proofs more rigorous in nature. In fact, this effort forever changed the way mathematical proofs are written. However, despite all of these early achievements, Gauss was still considering a career in linguistics instead of mathematics. Thankfully, for the sake of mathematics, this changed on March 30, 1796. It is on this day that Gauss wrote in his diary that he had discovered a solution to one of the greatest unsolved problems of Euclidean geometry, the construction of regular polygons. So impressed with the solution to this problem, Gauss decided to dedicate his life to mathematics. It wasn’t long before Gauss would impress himself again. On April 8, 1796, Gauss proved the Law of Quadratic Reciprocity. His favorite of all the theorems, he is credited with at least a half-dozen proofs of it during his lifetime. As Gauss’ life continued, so did his achievements. Too many to mention specifically, Gauss made groundbreaking contributions in Number Theory, Differential Geometry, Statistics, the Method of Least Squares, Complex Analysis and non-Euclidean Geometry. In 1801, Gauss published Disquisitiones Arithmeticae, considered by many to be one of the greatest achievements in all of mathematics. Beyond mathematics, Gauss also rewrote physics with major contributions to the fields of electricity and magnetism. As if that weren’t enough, Gauss was also a bit of an inventor. He is credited with inventing the heliotrope to help with his job as a surveyor. And, with colleague Wilhelm Weber, he was the first to invent the telegraph. If there is to be one major criticism of Gauss, it is with his reluctance to publish his discoveries. Gauss, ever the perfectionist, did not like to publish many of the results of his research, fearing that they were never perfect enough. Or, as Gauss would describe it later in life, “pauca sed matura” (few, but ripe). In fact, most of what Gauss discovered was not known until after his death when colleagues went through his mathematical diary. Looking at this as a major travesty to mathematics, it is the opinion of the famous mathematician, historian and mathematical romantic E.T. Bell that Gauss’ reluctance to publish his discoveries set mathematics back at least 50 years. 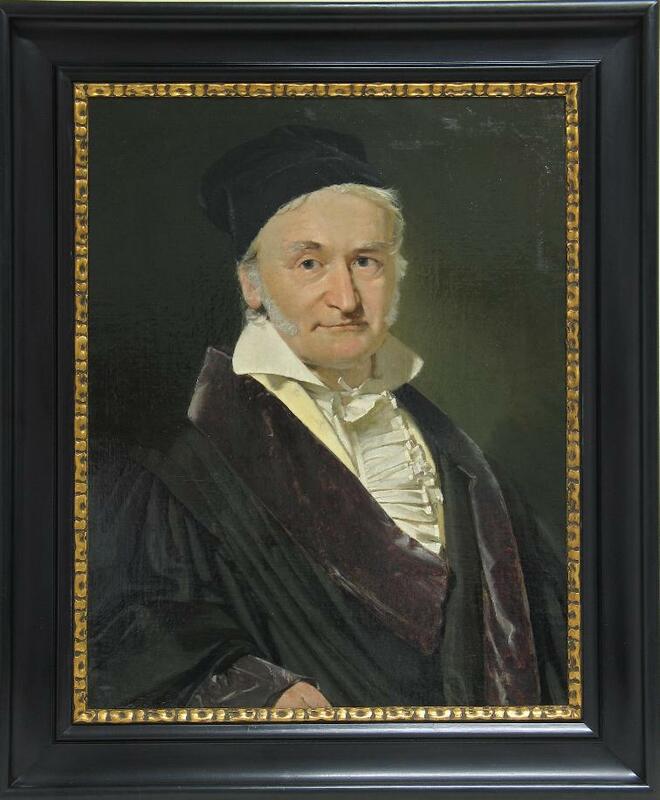 If you would like to see my mathematical collection, some of which is dedicated to Gauss, you can click here. 3 Responses to Happy Birthday, Carl Friedrich Gauss! Musings on Math now on Twitter! Why don’t people appreciate math? Happy Birthday to Carl Friedrich Gauss! © Musings on Math, 2010 – 2018. Unauthorized use and/or duplication of this material without express and written permission from this blog’s author and/or owner is strictly prohibited. Excerpts and links may be used, provided that full and clear credit is given to Musings on Math at http://musingsonmath.com with appropriate and specific direction to the original content. This includes all written materials.